Gosh, how quick did December creep up on us? I, for one, am certainly not ready for the Holiday season or the cold weather, BUT time waits for no man!! I can say that it's been unseasonably warm for the most part here in the Midwest and I am surely not complaining. But Old Man Winter is a solid days 16 days away and I refuse to let this Winter to come in un-stylish. Donning my first furry coat (IKR? 😲) and some vintage JustFab jeans to pull together my first warm look of the season. I'm proud to share with you guys that my little 9 year old daughter took these photos for me. It was later in the morning and my husband and son were gone to his basketball breakfast/practice and I really didn't want to do these on the tripod. I had to bribe her a little but once the camera was in her hands, she became the little pro that I knew she was. Her latest aspiration? To be a photographer! Let's get into this outfit! When I first got this jacket, I was kinda like "ummmm?". It is unlike anything that I own and I kinda like to think that I have a pretty diverse closet. I held it for a couple weeks and it finally clicked. 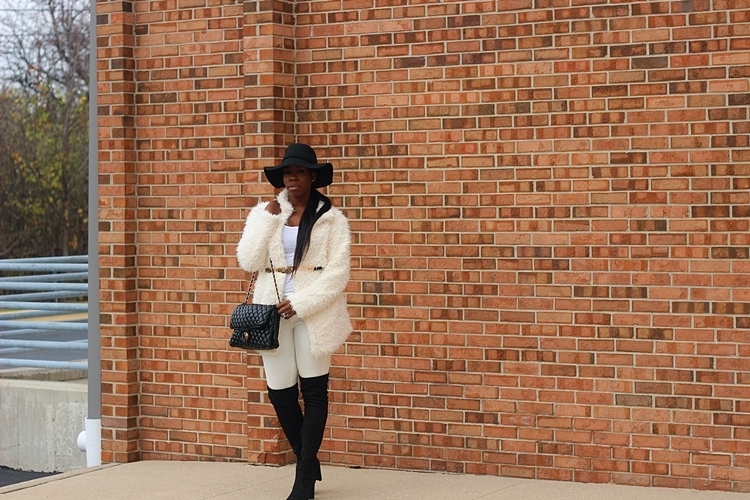 OTK boots + cinched fluffy jacket = Winter time REALNESS! It's insanely soft and comfortable and I am really happy that I decided to keep it. 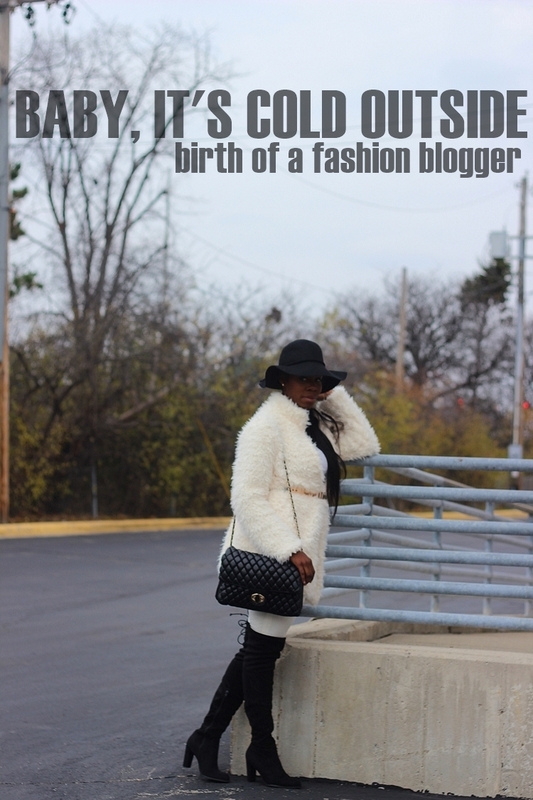 Here is another way to style it from my blogger sister Kat from Katy009 Fashion. IF YOU LIKE ME, PIN ME PLEASE! Let's Make Today Fabulous is back with a bang, ladies and gentlemen! 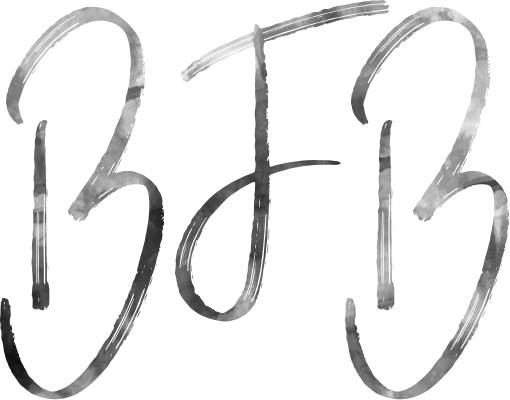 Go ahead a link away with your fashion related questions. An while you are at it, make sure to visit some of the blogs that are listed below. I'm sure you'll find a some new faves! Happy Monday Everyone! ♥ Stay warm!